Sprouts offer nutritional value that is nearly impossible to get from other vegetables and fruits that are purchased from grocery stores. In addition, their nature allows for the easy absorption of nutrients and vitamins enabling our bodies to fight off diseases more effectively. 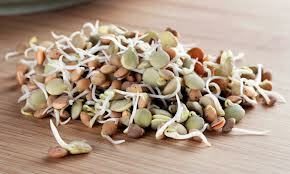 Boil all sprouts for a whistle in pressure cooker. Drain water when the pressure released. Heat pan with oil season with the above given” To season'”ingredients. 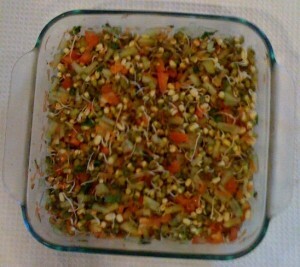 Transfer to bowl garnish with Grated Coconut, Coriander leaves and Raw mango or carrot.